Long-time readers of this blog — as well as those who are hooked up to the creative blogosphere at large — are likely acquainted with artist and mother Carmen Torbus. Last year, Carmen’s book, The Artist Unique, was published. It’s apparent — just a few pages in — that Carmen’s book is different from other hands-on guides in the “use creativity to express yourself” category. 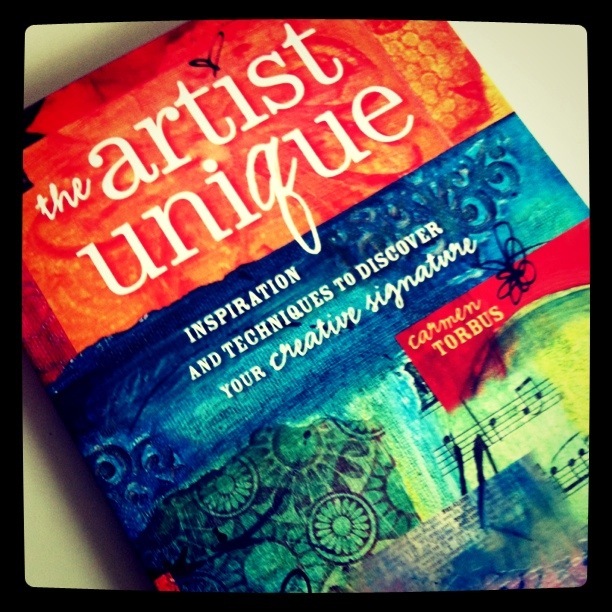 (If you don’t have a copy already, I highly recommend that you add this book to your creative toolkit.) I asked Carmen to join us for a belated stop on her book tour. Enjoy! Q: What inspired your book? How did you develop your clear message? The Artist Unique was inspired by the realization that something was missing in my artwork… me. I was spending a ton of time creating. I was in awe of many of the mixed-media artists I was seeing in books and magazines and I was giddy about the art projects I was completing. I was so excited when my work came out looking as good as theirs, but they never really felt like they were mine. They were replicas. Knock-offs. While teaching that workshop, I realized that there was more to this idea than a small online workshop and so the idea for a book was born. I wanted to stick to inspiration and techniques and encourage exploration. I did not want to write a book with step-by-step projects because I wanted to empower creative play and allow room for improvising, brainstorming, and light-bulb moments. Q: What was the process of writing a book — expanding your workshop framework into a full-on manuscript — like for you? It was interesting because I didn’t just pull from my own experiences. I really wanted the book to focus on the reader and empowering them to play and try new things so their signature style can emerge. To do that, I asked 15 artists who I feel have a distinct style to share one of their favorite techniques. I shared their artwork and the steps for using the technique. Then I used the technique in my artwork to illustrate the different outcomes that came come from using the same technique. I also wanted to inspire the reader and give them hope that regardless of their skill level or where they are in their artistic journey, they are becoming a unique artist — just like the contributing artists. The stories of each contributor were a joy to share. The process of writing and pulling all of the information together was a bit of a challenge for me. Truth be told, I don’t do well with deadlines. They paralyze me. Especially when they are months away. Once you have a contract to write a book, there are several deadlines set. There have to be. It feels like you have all the time in the world when a deadline is months or even a year out. I’m a bit of a procrastinator. (Who am I kidding, I’m a complete procrastinator!) I do my best work when time is crunched. I prefer shorter deadlines if I have to have them at all. I did most of the writing literally a week or two before each deadline. My publisher and editor were wonderful to work with. I highly recommend Northlight for any creative folks that dream of writing a creative book. Q: What do you most want your readers to take away from your book? Inspiration and the belief that they can develop their own style as a creative person or artist. My hope is that readers will take inspiration from the contributors and explore their creative desires. I’m not sure what’s in my future. I’m exploring a few options right now. And to be completely honest, the unsureness (is that even a word?) is leaving me feeling a little vulnerable and uneasy, but sort of free at the same time. My dream is to encourage, inspire, and empower big dreamers to actively pursue their wildest dreams. I’m not 100% sure what the best avenue is for me to support my tribe, but I’m bound and determined to keep trying until I figure it out. 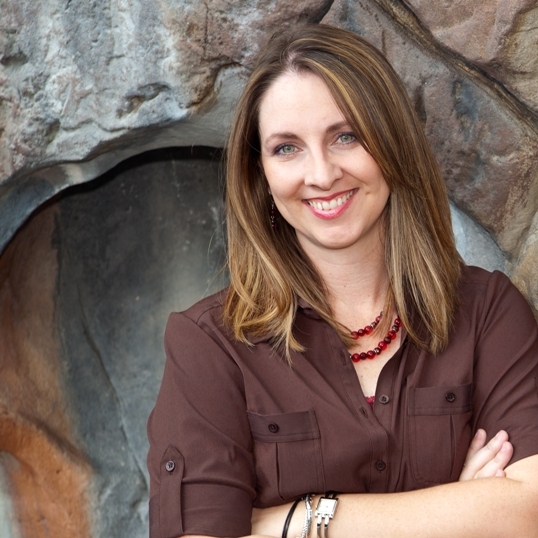 I’m about to begin formal life coach training and I’m currently working with a limited number of coaching clients. I’ve spent the last three months focusing inward, specifically on my health and happiness. Which has taken the form of regular exercise and a better diet, resulting in weight loss, feeling better, more self-confidence and an overall healthier, happier me. The best ripple effect of this happier healthier me is improvement in my most important relationships. I love it and it’s inspiring me to expand my vision and dream a little bigger — even to the point of incorporating health and wellness into my coaching practice along with a healthy dose of creativity. Please join me in wishing Carmen the very best in her future adventures. You can stay in the loop at www.carmentorbus.com. I purchased Carmen’s book when it was first released and love it! Great job, Carmen! Glad to see you finding your path! And a big thanks to you Miranda for heping to spread the word about The Artist Unique!